8) Del Worsham vs. 9) Tommy Johnson Jr. 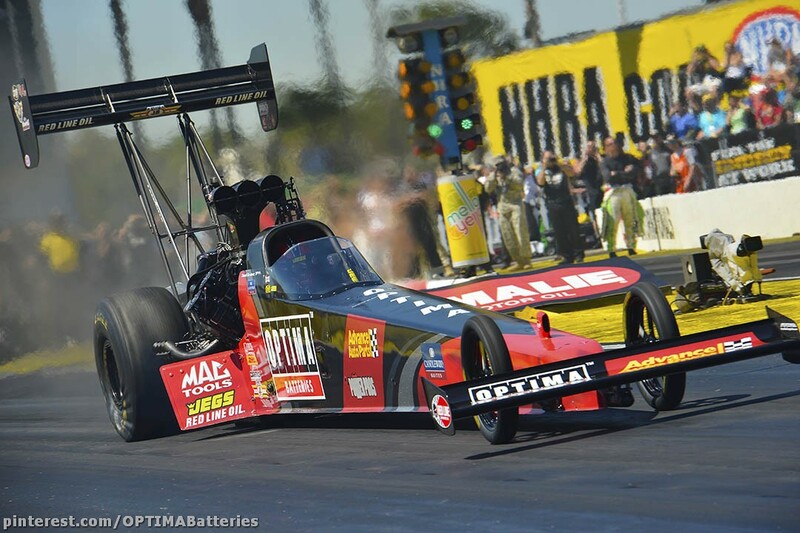 The top 16 qualified cars in both Top Fuel and Funny Car will race Sunday in eliminations beginning at 11:00 a.m.
Based in Ypsilanti, Mich., Kalitta Motorsports is a Top Fuel and Funny Car drag racing team in the NHRA (National Hot Rod Association) Full Throttle Drag Racing Series. The team was founded and is owned by drag racing icon Connie “the Bounty Hunter” Kalitta. For more than 50 years, Connie has been involved in the sport as a driver, tuner, and an owner. Kalitta Motorsports is one of the most successful teams in the history of auto racing with five world championships and over 50 national event titles in five different professional drag racing sanctioning bodies since it was established by Connie in 1959. Del Worsham drives the DHL Toyota Camry Funny Car for Team Kalitta. Alexis DeJoria pilots the Patrón XO Café Toyota Camry Funny Car. David Grubnic drives the OPTIMA Batteries Top Fuel dragster while Connie’s nephew, Doug Kalitta, pilots the Mac Tools Top Fuel dragster. Connie serves as head tuner for all Team Kalitta entries. He is assisted by co-crew chiefs Jon Oberhofer and Nick Boninfante on the DHL Toyota Camry Funny Car, by Tommy Delago and Glen Huszar on the Patrón XO Café Toyota Camry Funny Car, and by Jim Oberhofer on the Mac Tools Top Fuel dragster. Connie serves as crew chief on the OPTIMA Batteries Top Fuel dragster.